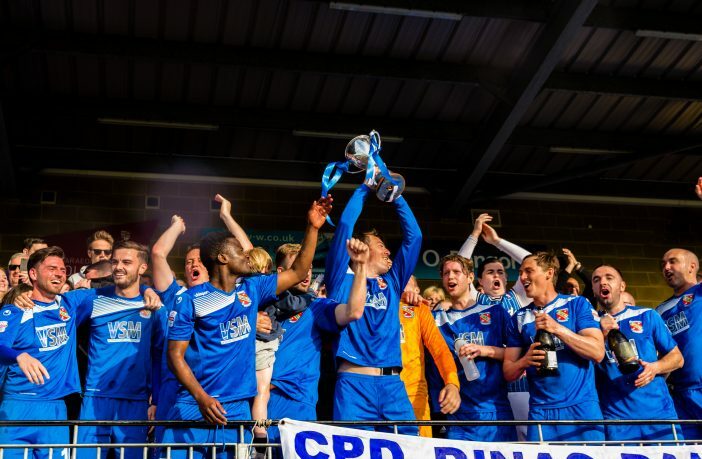 Going into the playoff final, Bangor were considered by many to be the quiet favourites to win the game and join The New Saints, Connahs Quay Nomads and Bala Town in European competition next season. 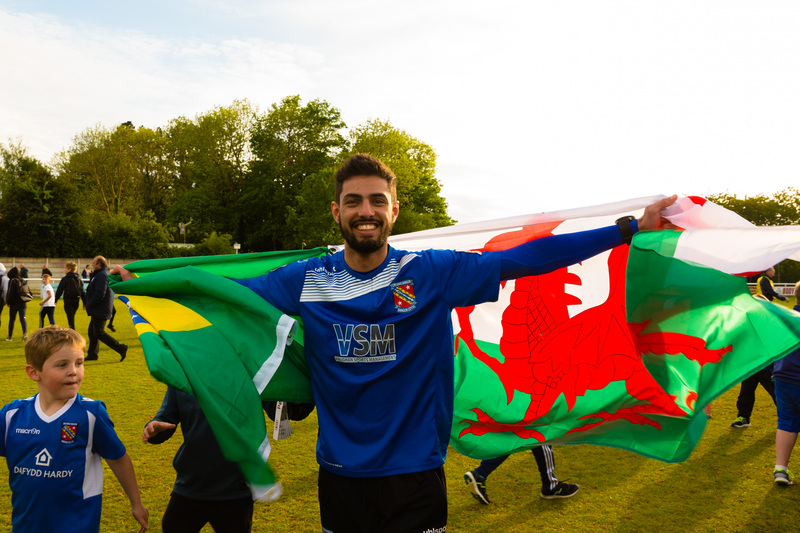 Much of the attention before the match had been given to Cardiff Metropolitan, who could have become the first University team to reach the Europa League. However, with the stage set and in front of the S4C television cameras on a blustery but dry afternoon, it was Bangor’s turn to take the spotlight. Bangor started the stronger of the two sides, with Henry Jones forcing Cardiff Metropolitan’s goalkeeper Will Fuller into a smart save. The next opportunity fell to player-manager Gary Taylor-Fletcher, from a well-worked corner taken low by Jones with the veteran’s effort again tipped over by Fuller. Taylor-Fletcher was looking dangerous, as just over ten minutes later he headed narrowly wide of Fuller’s near post from a curling, deep cross. Bangor took the lead after 30 minutes. Henry Jones was the victim of yet another late tackle after offloading the ball to Taylor-Fletcher. Referee Bryn Markham Jones played the advantage, allowing Taylor-Fletcher to slip the ball to Dean Rittenberg in a more central position, who then fired low into the net from inside the penalty area – a fitting way to celebrate his 21st birthday. With 15 minutes until the break, Cardiff Metropolitan stepped up their game, having a penalty appeal waved away by the referee before seeing an injury to Rhys Thomas, after two Bangor City defenders missed clearances and Paul Connolly came across to make sure both ball and man were getting nowhere near the Bangor goal. At half time, Thomas was replaced by Jordan Lam for Cardiff Met following the injury suffered late in the first half. The first opportunity of the second half fell to Cardiff Metropolitan, resulting in Connor Roberts making an inspired stop to prevent the equaliser. Henry Jones and Taylor-Fletcher were causing problems for the opposition all afternoon with their link-up play, until Taylor-Fletcher substituted himself on the hour mark, introducing Sion Edwards. Cardiff Met replaced Josh Barnett, previously booked for a foul on Jones, with Ben Bowler. As Cardiff Met were beginning to turn the screw to find the equaliser, Paul Connolly conceded a free kick on the edge of the penalty area, receiving a yellow card in the process. This led to a flurry of activity in the Bangor penalty area, resulting in Cardiff Met having a goal disallowed for an alleged handball on the 65th minute. The mood among the fans was far from nervy, as a section of the 956 who turned out to support the two teams chanted “if you love Bangor shoes off!” whilst waving their shoes in the air behind the Cardiff Met goal. As the final ten minutes were being played out, Bangor were still energetically closing down the Cardiff Met midfielders, making it difficult for the visitors to find a way through. After surviving one final chaotic flurry in the Bangor penalty area, the full time whistle blew on Cardiff Met’s hopes of becoming the first university team to play in Europe, prompting celebrations from Bangor fans and players alike as the fans joined the players on the pitch to celebrate. 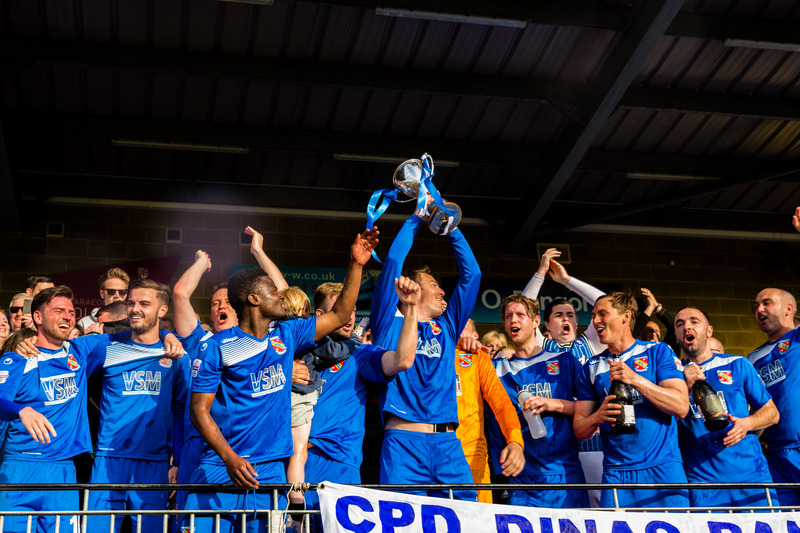 Although Cardiff Met ultimately lost, a lot of credit must be paid to the team for staying behind and watching the presentation ceremony, applauding their opposition. 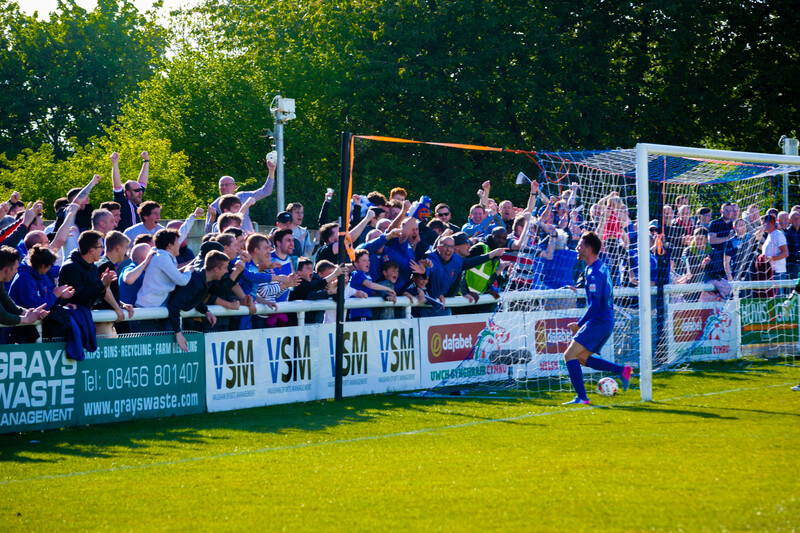 As for Bangor, it was a deserved hard-fought victory on the day which the fans will no doubt savour.